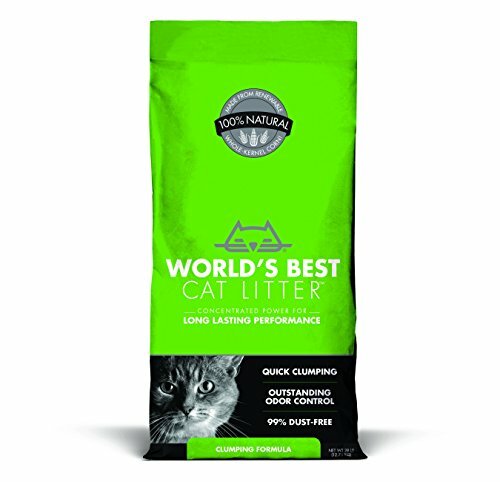 Worlds Best Cat Litter is a range of products designed to give a cleaner cat litter box and to make cleaning it a hassle free experience. Their litters are made from renewable ingredients that are safe for pets and people as well as not harmful to the planet. They also feature odour control to eliminate those unpleasant smells and are free from silica dust. One of the promises of the World’s Best brand is that its litter is clumping, but what exactly does it mean? The reality of it is that is actually is as straight forward as it sounds. Clumping cat litter is designed so that the wet and lumpy mess in the litter box can be removed easily without needing to empty the entire cat litter box each time. Most cat litter perform this task by using clay, particularly one called bentonite, to achieve this but the main problem with clay is that is can generate a lot of dust that can aggravate allergies in both pets and people. World’s Best use all-natural ingredients and don’t add clay to the litter so achieve a 99% dust free standard. Their litter is also quick clumping so just a short time after the cat has used the tray, the clumped litter will be ready for removal. Many rescue shelters and other charities will tell you that the number one behavioural reason for a cat to be abandoned, dropped at a shelter or mistreated is not using the cat litter tray. One reason for this is they have started to avoid the tray due to the scent involved, as a cat’s sense of smell is far superior to ours. To this end, World’s Best have created a range of scented litters that use natural smells to help control the odours involved in the litter box and stop tray avoidance. One of these products is the Lavender Scented cat litter that uses natural lavender oil in the litter while still retaining the other benefits such as being quick clumping, dust free and easy to scoop up. Another variation is the forest scented litter that uses the natural wood scents to help persuade your cat that the litter tray isn’t an enemy. Cat litter can be a major element at landfill and other waste disposal sites and while there are not flushable cat litters, these still may feature elements that aren’t environmentally friendly. 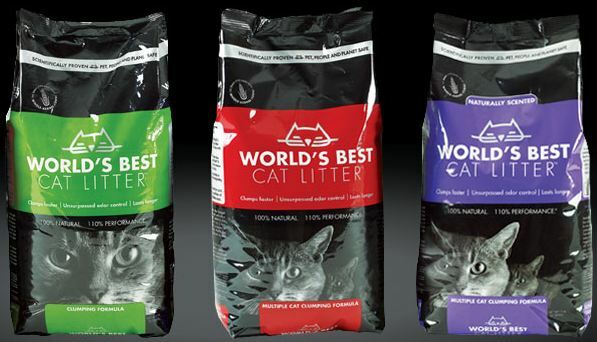 With World’s Best, the litter is made from whole-kernel corn meaning that it is a 100% natural and renewable resource. It means it isn’t mined from somewhere, drilled out of the ground or created artificially and is grown on farms across America. It also means the litter is biodegradable so when it reaches landfill, it will naturally break down and leave nothing behind. Finally, this natural ingredient element is also great if you are litter training a kitten, who have the urge to eat everything they encounter – it is safe. If they decide to snack on the litter, you don’t have to worry about them ending up with a stomach full of clay, just corn.